Hot chocolate with whipped cream and chile powder. There is a method to making hot cocoa, believe it or not. The salt may seem like an odd ingredient, but it really helps bring out the flavor of the cocoa. Do not omit it unless you absolutely must. Recipe reprinted with permission from The New Doubleday Cookbook. Mix cocoa, sugar and salt in a small saucepan, slowly stir in water. Heat and stir over moderately low heat until mixture boils, then boil slowly, stirring constantly, 2 minutes. Add milk and heat to scalding but do not boil. 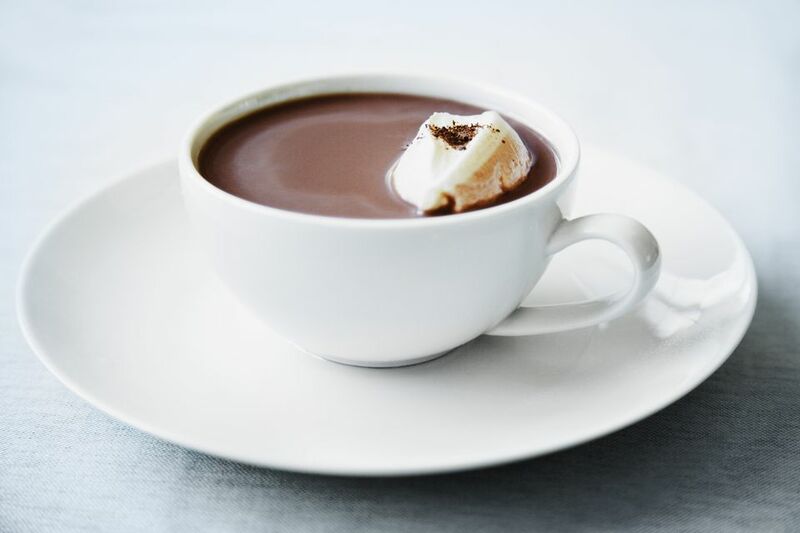 Serve in mugs, sprinkled, if you like, with cinnamon or nutmeg or topped with marshmallows or whipped cream.